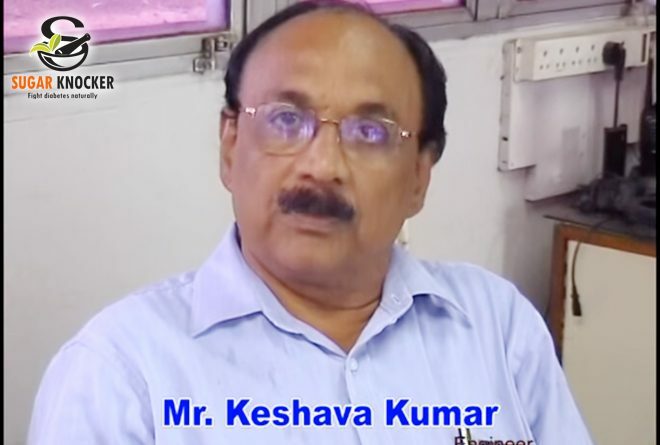 Keshav Kumar from Bangalore was diagnosed with type 2 diabetes from last 3 years. The doctor prescribed him to allopathy medicine. He was depending upon that. He felt very tiredness during his work. He got to know about Sugar Knocker – Herbal Supplement for Diabetes. Then he started using sugar knocker regularly by judicious usage of 6 months. Today, Mr. Keshav Kumar reduced dependency on allopathy medicine, the energy level is improved and now his diabetes is fully controlled. Fascinating Unique Herbal Formula that can help to Regulate Your Blood Glucose without Side Effects!